When Leighanne Levensaler enters a room, she typically brings several things with her. One is a force of energy that would jostle awake even the most staid meeting. Add to this her generous smile and an ability to instantly read people, often asking how they’re doing. She’ll also bring a great discussion—passionate and direct, and typically centered around what’s needed or could be better, whether for customers, colleagues, or the broader, intersecting world of people, finance, and business. Levensaler joined Workday in 2009 as vice president of HCM strategy, when the company had fewer than 400 people and 100 customers. In 2014, she was appointed senior vice president of products, and Workday now has more than 5,500 employees and 1,100 customers worldwide. She’s responsible for application direction and strategy, including Workday Financial Management and Workday Human Capital Management. Levensaler meeting with colleagues at Workday’s main campus in Pleasanton, California. Mike Frandsen, executive vice president of products, support, and delivery at Workday, says Levensaler is the rare individual who excels at both the internal details of product management and the essential, external work of understanding the needs of customers and the broader world of business. 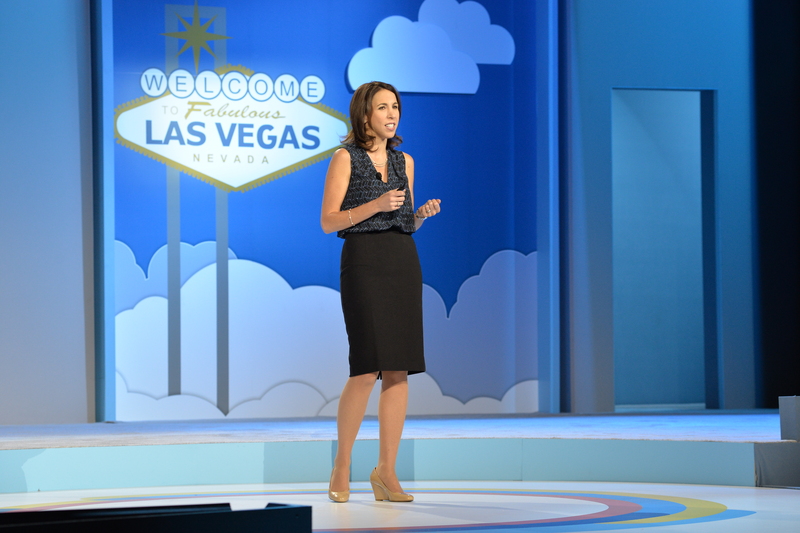 Levensaler at the Workday Rising 2015 customer conference. 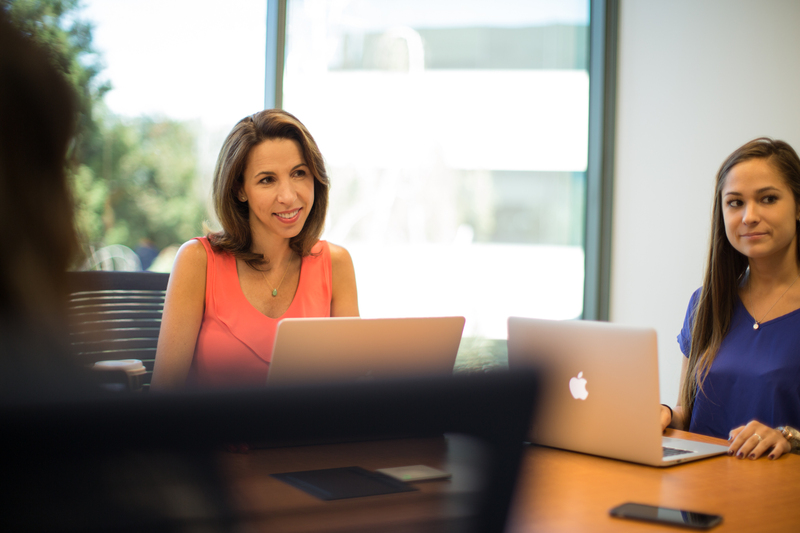 Levensaler is proud of the fact that women comprise half of the Products team at Workday. “To me, the 50/50 ratio is just perfect because it closely reflects the composition of our labor force at large,” she says. She’s also unwaveringly comfortable with what she calls her “goofy” side, including dancing and acting in a number of playful Workday Rising customer event and Workday sales videos. One of her claims to fame: She can sing more than 100 camp songs by heart. Leighanne DeMarzo wasn’t born with a silver spoon in her mouth, but she did dish up a lot of pizza to tourists as a high school and college student at Giuseppi’s restaurant on Hilton Head Island in South Carolina. (Her Southern upbringing emerges in the occasional “y’all” dropped in conversation.) Levensaler’s interests in customers and HR started to bloom in that job, as she moved from raking in tips as a waitress to scheduling the wait staff’s shifts and daily stations and submitting time cards for payroll. Her stepfather ran a convention catering business on Hilton Head, and her mother owned a small gift shop where Levensaler also worked, learning a lot from her mother about how to connect with customers. 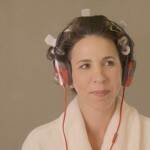 Levensaler acting in a Workday Rising skit. Leadership comes naturally to Levensaler. Starting in grade school, she was very active in student government at the regional, state, and national level. She was president of the South Carolina Association of Student Councils in high school, and served in many leadership roles in student government at Clemson University, including president of the Clemson Panhellenic Council and as a member of the Student Alumni Council. She also received the university’s Norris Medal, an honor awarded to one graduating senior who exemplifies the best qualities in a Clemson scholar. It’s considered the highest honor for an undergraduate student. With an interest in leadership development in education, Levensaler went to Georgia State University to earn a master’s degree in human resource development. While in graduate school, she spent six months as a human resources consultant with Deloitte, where she began to learn more about issues facing the corporate world. After grad school, Levensaler began her professional career in organizational development at the American InterContinental University. There she helped hire and assimilate faculty and staff from private colleges around the globe into a new model of education, where the goal was to optimize faculty and facilities to reduce the length of time and cost of higher education, and to prepare students for jobs in technology. Levensaler grew increasingly interested in technology to enable the recruiting, onboarding, communications, and development of an organization’s global workforce. Before corporate intranets were common, she created the American InterContinental University’s global HRWeb using a combination of her HTML, database, and networking know-how. “I was hooked,” she says. Levensaler went on to hold technology-focused leadership roles at enterprise learning companies SmartForce and SystemLink Enterprise Solutions. Then, in 2005, she joined Bersin & Associates as principal analyst and director of talent management research. HCM Technology Consultant Naomi Bloom of Bloom & Wallace recalls Levensaler’s research paper about the talent management market that analyzed and rated vendors and products based on certain critical characteristics. “It was a brilliant piece of work; in subtle but important ways, quite different,” says Bloom. Four and a half years after joining Bersin, she got a call from Workday. She wasn’t looking to leave, but completely believed in Workday’s approach of starting from scratch and building a new type of unified finance and HR system. As a research analyst, the idea of incorporating analytics within applications, rather than as a separate business intelligence system that analyzed outdated data, also aligned with her expertise. “I could see an opportunity to change how enterprise software was developed—to be part of the team revolutionizing the industry,” says Levensaler. “Leighhanne has a background in technology and heavy duty analytical and critical-thinking skills. But she’s also incredibly human. It’s hard to find that combination in one person,” says Bloom. What also shone through in her work as an analyst was a deep understanding of the characteristics, attributes, and behaviors of things, people, and data, and how they relate to each other. Bloom says that expertise and way of looking at the world fits perfectly with Workday’s object technology approach. 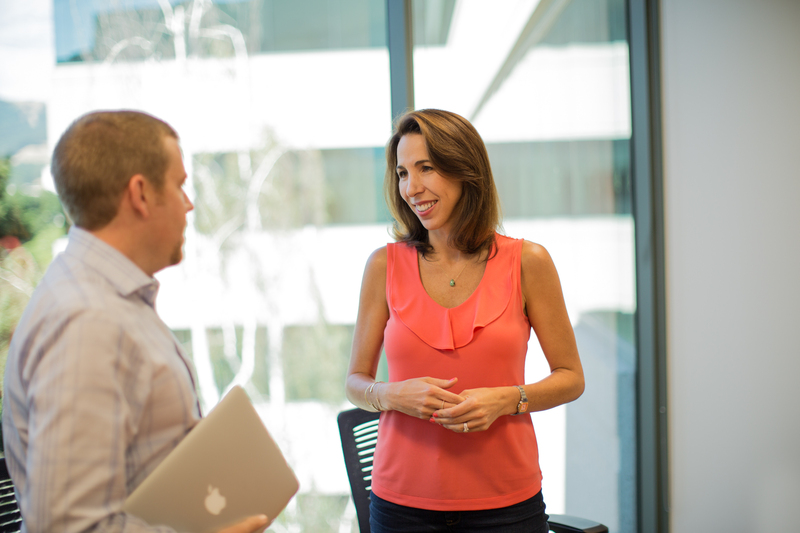 Levensaler has helped shape Workday’s culture and products since joining seven years ago. Levensaler and the broader Products team have played a strong role in Workday’s emergence as a leading provider of enterprise cloud financial management and HCM applications. Workday recently announced it has achieved the highest and furthest overall position for its ability to execute and completeness of vision in the leaders quadrant in Gartner’s June 2016 report, “2016 Magic Quadrant for Cloud Human Capital Management Suites for Midmarket and Large Enterprises,” by Ron Hanscome, Chris Pang, Jeff Freyermuth, Helen Poitevin, Melanie Lougee, and Sam Grinter. Outside of Workday, Levensaler is a member of the 2012 Class of Henry Crown Fellows at the Aspen Institute, a leadership fellowship she calls one of the “greatest gifts of my life.” In 2014 and 2015, she was named one of the “Most Influential Women in the Bay Area” by the San Francisco Business Times, and in 2016 was named to its Forever Influential Honor Roll. Levensaler says it’s important to her to stay involved in civic issues, and leverages her strengths to contribute to the good of society. For example, she’s been working with leaders in the private and public sectors on how to use data to connect unemployed U.S. veterans with potential employers in need of their specific skill sets. She’s also an investor and board member at various organizations, with a particular interest in minority- and women-led start-ups. Most precious to Levensaler is spending time with her two young sons and her husband Kurt Levensaler. Almost every weekend you’ll find her baking with her sons in the kitchen, and together they’re compiling a family cookbook.